Steven Butala: Today Jill and I talk about how the advanced group is self forming nicely. It’s the group that we talked about yesterday. Jill DeWit: I’m so happy and so excited, I want to also say, “Yay, it’s the day after Thanksgiving. It is officially Black Friday.” and that means it is officially 2.0. So if you are a member and you have not logged on to your member dashboard, go there now. It is there ready and waiting for you. I know a lot of our members have been oh so patiently waiting for that, I know that they’re excited to have it, so, yay. Jill DeWit: How many hours is it all together? Steven Butala: It’s about five hours. Steven Butala: The first one’s about 10. Jill DeWit: Okay, and I wanted to say too, this is not a replacement of 1.0, this is an addition to it. It builds on that, and add more, and takes you more into Info Lots. Steven Butala: By the way you can’t buy them separately, it’s value added. Jill and I try to continually add things for our existing members and for obviously new members. Jill DeWit: For right now. Jill DeWit: As of right now it’s all one. So as of right now if you are an existing member you get it automatically for free, and as of right now if you want to take advantage of the special that’s going on today, Black Friday you get them both. Steven Butala: Are you thinking about separating them? Jill DeWit: I’m not sure yet. I’m leaving the door open. Steven Butala: I never even thought about that. Jill DeWit: Yeah, leaving the door open. I might do something with that, we’ll see. Steven Butala: Before we get into it, let’s take a question posted by one of our members on the landinvestors.com online community. It’s free, and as your listening please drop your questions into the comment section below. Jill DeWit: [Chloe 00:01:59] asks, “When I look at Realtor.com/research, I see a chart that shows market trends, median list price, y/y. Then I look to the right and I see a county name/state name. Then I see a column with the median listen price, y/y. Can someone explain to me what this y/y means? If the median price for an area is $174000, and the median list price, y/y says 2.4%, what is this telling me?” So confused. Steven Butala: First of all this is a fantastic question. Jill and I say this all the time, “You can tell out of the box who’s gonna do well at this right away.” And you are clearly one of those people because you need to know these statistics and understand what they mean so you can use them to your advantage when you make decisions about where to send mail and for how much. Y/y means year over year, and \M, means month over month. So the working example here is that for whatever area you chose, the median price for an asset’s $174000, y/y, year over year, it increased 2.4%. So, that $174000 house last year, it went up 2.4%. I hope that’s clear. What I look for when I look at these statistics is, is it going up or is it going down? 2.4% is pretty low, the average is 3-5%. Steven Butala: And some markets like Seattle are up 90% year over year. Jill DeWit: What’s the median house price right now in the whole country? Jill DeWit: Okay so this is a lower one too. Jill DeWit: Interesting. That’s the median, isn’t that funny? Steven Butala: I thought that was kind of high. Steven Butala: Cause if you go to Kansas and Indiana and stuff. Steven Butala: That’s what I think. Jill DeWit: I see social media all the time like, hey you can buy this house for $29000. Jill DeWit: I don’t want to buy that for $29000. Steven Butala: You can buy a house and live in it there for $35000 in Texas, with land and stuff. Jill DeWit: So that’s 220 you said? Jill DeWit: Yeah, that seems high, that’s very interesting. I’m sure where we are sitting is skewering that. Steven Butala: National statistics always crack me up, even regional statistics in real estate because when you think about it from a reality check perspective, wherever you’re standing right now, if you go two blocks over, it’s probably a completely different price range. There’s probably houses or office buildings wherever you are that are three times as much, or three times less. Steven Butala: Block, by block, by block, census track by census track, it’s very different. Steven Butala: How to price mailers. Steven Butala: Specifically, and that’s what 2.0 is all about. Steven Butala: Pricing your mailers correctly, and that’s what House Academy is all about too. Today’s topic, the Advanced Group is self-forming nicely, this is the meat of the show. Yesterday Jill and I talked about what 2020 looks like for us, which is frighteningly only 13 months away from the time of this record. Anyway, and one of the things that I’ll be working on with one of our other members [Justin 00:05:33], is making this concept a reality that I’ve had in the back of my head for a long time. Where we can all as advanced members of the group login in to an online CRM, put money into deals after we review the deals, and put our deals in there to get funded. Steven Butala: Commercial real estate investors have been doing it for years, and years, and years. They put in a $100000, the divestiture of an apartment building sells, or let’s say you own a certain portion of it and it throws off distributions three or four times a year. So you take out that money and put it back into a different deal or the same deal, or you tie it to a person because you like the types of deals that are in there. So commercial real estate community has been doing this forever, and I’ve been involved in commercial real estate for a really long time. This whole concept is opening that up to our level of investment, which I think no one’s done for some reason, and I’m pretty excited about it. So, we’ve asked people to chime if they want to be involved in this, so we’ve getting a lot of response, really positive response. Jill DeWit: Mm-hmm (affirmative). Well we’re starting with a call, your putting together a quiet group that you’re hand selecting number one, and then we’re gonna follow up with a session you’re gonna put together, closed member call, correct? Jill DeWit: What are the phases do you have? Is that kind of outlined yet, or is it still being created? Steven Butala: The soft launch date is January 28th, which I think is a little bit aggressive, and so does he but, it’s a soft launch to shoot for, but all the steps along the way. Because of the holidays and things like that, and we just got 2.0 done, and there’s a lot of stuff going on. Jill DeWit: Is House Academy gonna come before it? Steven Butala: The soft launch date for House Academy is January 1st. Steven Butala: We’ll see though, he’s pretty aggressive like I am. Steven Butala: There’s lots of other things in between so, inforeport.com launches today actually. We can talk about that. Jill DeWit: Yes, it does. Steven Butala: That life changing in itself. Steven Butala: You never have to buy a piece of property again and wonder where the utilities are, or how it could be used, or if the zoning is correct to put a lot on there. We have launched a product today where you can go in and order a report on a property and see if it makes sense for you to buy it. Steven Butala: It can effectively outsource 98% I your due dilligence, I would argue maybe 100% of your due dilligence for a relatively small fee, and get that out of your life. That’s what you should be doing as an investor is trying to get stuff out of your life so you can just do the important stuff, which is send out mail. Steven Butala: That’s my point, so there’s so much stuff going on, we’ll see if this advanced route comes to fruition. Steven Butala: A lot of the times I tape a lot of stuff together and ask people to launch it. Steven Butala: This advanced group is not that. It needs to function properly before we launch it. Jill DeWit: What kind of people are you looking for? This came up the week before this, which was the week before Thanksgiving, our member call we dropped this on everyone. So hey, if you think that this is good fit for you, feel free to send an email with your information and why. So, can you please elaborate on who you think is a good fit here? Steven Butala: Yeah, I’m a good fit, you’re a good fit. Steven Butala: If you regularly buy and sell real estate as part of our group, then you’re probably doing it full time or you’re doing it at a pretty high velocity, but you still have a day job for whatever reason, you’re welcome to jump in. If you’re retired and you have a ton of money and you allocated a certain amount of money to invest, and you’re still in our group, by the way you have to be a member of our group to be involved in this. We have a lot of members that we work with who we just partnership deals with who have money. We call them money people. Steven Butala: Yeah. What we want is people to learn how to do this outside of that environment, and then after they’ve got 10 or 15 deals under their belt, you’re welcome to join. Jill DeWit: It’s gonna be small isn’t it, relatively small? Steven Butala: Yeah, at first launch it will be 25 people. Steven Butala: That’s pretty loaded up already. But as it goes on with just want to make sure that it’s the right group of people. 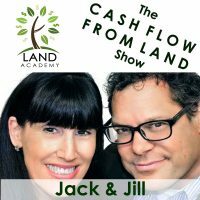 This is the reason Jill and I started Land Academy back I 2015, it’s to attract groups of people that want to be involved and invest on an institutional level but, for land and for houses. Jill DeWit: One of the things that important to me, and why I want them to be a member, is then they really understand us. Jill DeWit: You’re a member, you’re in our community, you’re talking with our people, you see what we’re doing, you’re on our calls. You really get to know us, you really know how we think, how we operate, how we do deals. Do we want a lot of hand holding? No. Do we give a lot of hand holding? No. You need to know that about us, and you need to make sure that we’re a good fit for you. Steven Butala: Yeah. We’re a total full blown group of self-starters. Jill DeWit: We don’t chat a lot. Jill DeWit: We’re pretty good down to business people. Jill DeWit: So that, if that sings to you. Steven Butala: Of course there’s a budget, there’s a budget for everything and the numbers are actually staggering when you really think about it. Steven Butala: This Advanced Group. Jill DeWit: Oh, what it’s gonna do? Steven Butala: Yeah. Can you imagine? Jill DeWit: Oh, have you guys thrown around some numbers yet? Steven Butala: Yeah, I’ll scale it way down. Steven Butala: This all started and is coming to fruition because somebody at the live event come up with this idea over cocktails. Hey, what do you say we all put $10000 in, and then we all agree to use it for acquisitions, but we all have to agree. This is all over a text on your phone. Steven Butala: Somebody brings in a deal, we vote to do it, we fund it, and let’s say, 10 or 20 of us do it and we’ve got $200000 in our bank account. When it gets to be a million bucks we split it all out and start with the $200000 over again. Steven Butala: That’s as fast as it came up, and as fast as it went away. Steven Butala: So, Justin and I are taking this to a whole different meaning. Jill DeWit: Mm-hmm (affirmative). I love it, I’m excited. Steven Butala: Add three zeros. Steven Butala: Yes the deal has to net $50000. Steven Butala: Everybody in the group will agree that this is a deal that we all want to do. Steven Butala: The communication, here’s the key for me, because we do this already, some version of this now it’s just there’s a lot of talking on the phone, there’s spread sheets, it’s just doing it. I want all of the communication to be through one CRM, which we’ve already chosen and we’re started down the path to implement it. I want anybody who’s in the group, whether they’re feeding deals, or funding deals, or both to have all of their answers by logging into an online commercial real estate based CRM, which again, we’re already down the path of bringing it online for us specifically. To have all of your questions logged in, and you wait by the morning and find out what your $10000 did. Steven Butala: Or didn’t do, or which deal looks like. You can watch everybody else’s deal too without participating. Jill DeWit: And no one but members can … I can’t be on the sidelines and throw money in? I’m in the group or I’m not in the group. Steven Butala: You have to be a member. Jill DeWit: Not even just a member. Steven Butala: But you can watch. If you’re not a part of the Land Academy membership group, or soon to be House Academy group, you can’t see this at all. If you are in that group you can watch it, but you can’t participate. Steven Butala: So, the thinking about that is, we have a lot of young aggressive people in the group that really want to do well, and they’re brand new. Everybody’s got to start somewhere. Steven Butala: So I want them to be able to see what they have to look forward to. Steven Butala: Without the risk of risking money or any of that. Steven Butala: So, that would motivate me. Jill always asks me, “What would you do? You’re designing this CRM, or you’re designing this new website like Info Lots. Design it for how you would want to use it” and she’s right cause I constantly am just thinking, what are other people gonna think. So, I would love to at 25 years old, or 35 years old, have been able to log into something for a very relatively small amount of money every single month, and see what I have to look forward to in the next three years. Steven Butala: That would motivate me to stay up all nit and get stuff done. Steven Butala: I’m excited about this. Jill DeWit: I’m glad, I know. Thank you. I kind of got to interview you with this. Jill DeWit: This is great, thank you. Is there any last thing that you want to add about the group? Steven Butala: I’ll tell you personally what I love about this too is that Justin’s kind of heading it up. I’m helping but he’s really, it’s kind of my idea and obviously were bringing all of this membership piece to it, but he’s really heading it up and he’s doing a bang up job. So, it’s a huge break for me not to have to be the only one doing stuff. Jill DeWit: You know what, it’s a break for me too. You know, everyone is winning here, except [Jessica 00:15:16], sorry Jessica. Jill DeWit: It’s your turn. Jill DeWit: Now it’s your turn to go, where my husband? I have no idea. Yep sorry. Steven Butala: I just read a thing, I think you saw it too, Justin had a Facebook post. Justice [Leva 00:15:31] had a Facebook post where his kid puked all over the places. Steven Butala: I’ve been there. Jill DeWit: Uh-huh (affirmative). It’s awesome. Steven Butala: Well, you’ve done it again, you spent another 15 minutes or so listening to the Land Academy Show, join us next time where we discuss another interesting episode. Jill DeWit: And we answer your questions posted in our online community landinverstors.com, it’s free. Steven Butala: You are not alone in your real estate ambition. Wonder how many times I’ve said that? Jill DeWit: At least 800 and I’m not sure. How many shows are we on? Jill DeWit: So at listen you did it there, by the way I have to share the details here. We are so excited, it is Black Friday and here’s what that means. If you’re thinking about joining Land Academy, now is the time. 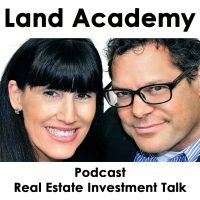 Go to landacademy.com, you’ll find that you use a coupon code, Black Friday, you will get Land Academy 1.0 and 2.0, plus $500 off. Oh I’m not done yet. Plus two separate one hour professional closed investor sessions with us. Jill DeWit: It starts today, and it goes through Sunday. Steven Butala: I didn’t even know that. Jill DeWit: So watch for code Black Friday, it’s going on right now through the weekend. Jill DeWit: I’m so excited. Steven Butala: I’ll put a whole agenda together. Jill DeWit: We haven’t done that in year, we did that one other time and it went over so well, it was probably about this time last year, so what we do is we do a closed call with the six, eight, 10, 20, however many new members that we have that check out this weekend. It’s a separate call just for you and that’s it. With Steven and I, I think it’s a Tuesday, I don’t know it’s on the website, and we answer your questions. Steven’s going to put together something really nice, we’re going to do one in December, then another one a month later. Jill DeWit: And have more questions for us and they just get us. Steven Butala: You know, that’s a great wat to make sure somebody gets offers in the mail. Steven Butala: That’s outstanding, that’s a grade idea. Jill DeWit: That’s true. I’m excited. Please be sure to hit the subscribe button to stay up to date on our podcast. Like us, and comment on what you would like to see in future shows, if you’re listening on iTunes please rate us there. We are Steve and Jill.